Website design for small business Hampton VA | Another website design done by VISIONEFX. The website features an interactive calendar and article blog. The website development framework is in Joomla and features many different components for viewing training schedules, fitness training and special events. 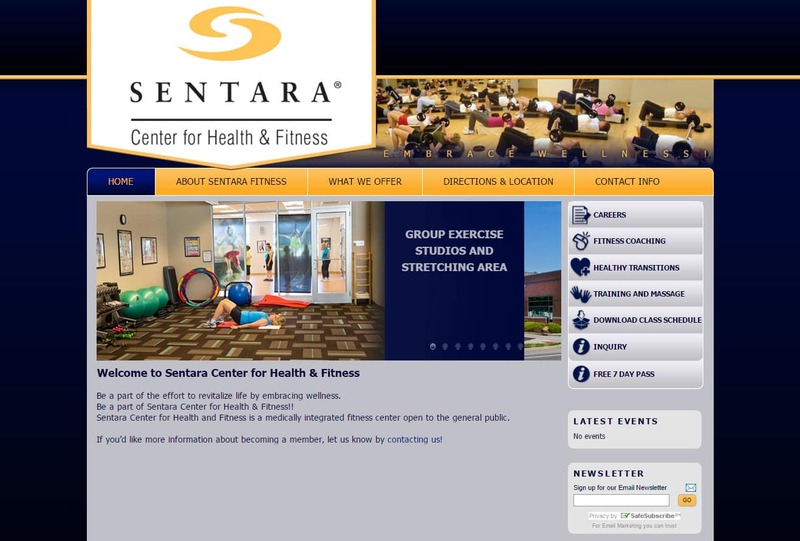 There is also interactive feature for the Sentara Fitness newsletter signup. VISIONEFX is proud to provide website development services to Sentara Medical and many other medical PLLCs in Hampton Roads, VA. When searching ‘Website design for small business Hampton VA’ look no further than the web design experts at VISIONEFX.